Pasta Primavera: This pasta primavera is the best! It is so easy to make and is loaded with fresh vegetables in a parmesan sauce. 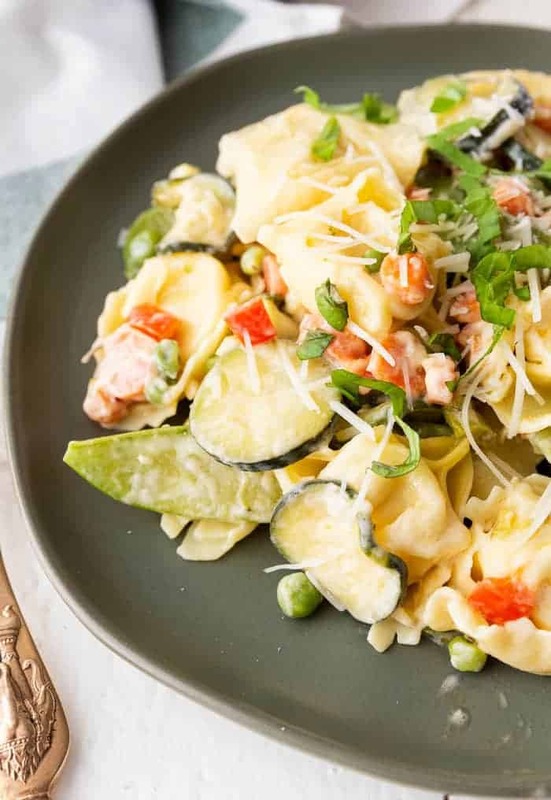 Cheese tortellini is used in place of traditional primavera pasta choices as they’re the perfect accompaniment with a rainbow of veggies. 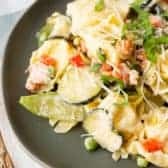 This pasta primavera recipe is an easy one pot dish, as the pasta is cooked in the same skillet you cook the rest of the meal in. I love skillet dishes, like this skillet teriyaki chicken. Just like orange chicken, this pasta primavera is quick, simple, and absolutely delicious. We are obsessed with tortellini over here. This Greek Tortellini Salad is like this Greek Cucumber Salad, but with delicious tortellini. 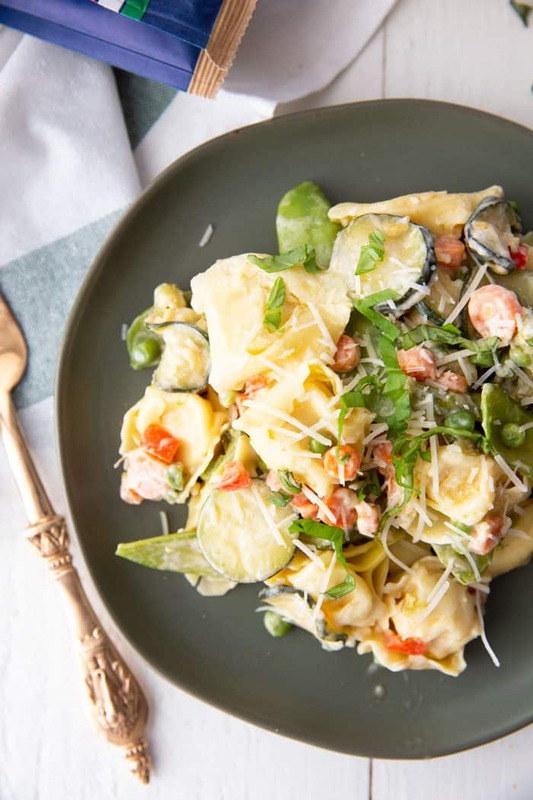 I think tortellini makes everything better, which is why I love adding it to pasta primavera. Cheese pillows are how I describe tortellini to my kiddos. 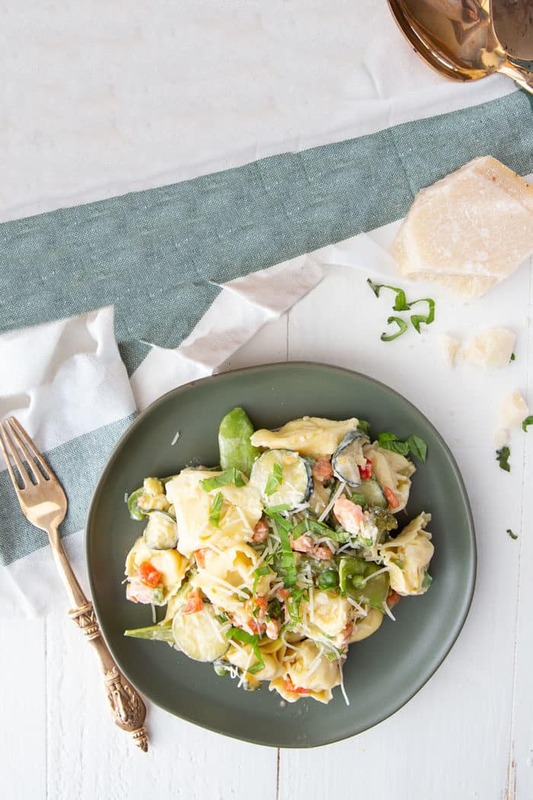 They get so excited about this creamy pasta primavera bulked up with warm vegetables and parmesan cheese. The taste delights them, the beautiful veggies delight me, and remind me of Spring. But don’t worry, it is hearty and filling enough for the cold winter, but light and fresh enough for the heat of summer. This dish is so yummy you won’t want to wait until the equinoccio de primavera as they say in Italian. You ‘ll eat this all year round. What Does Pasta Primavera Mean? Let’s get a little linguistical, linguistical . In Italian, “primavera” means spring. Literally it means the first “prima” green “vera.” Throw a little pasta in the mix and you’ve got the first greens and pasta. A spring like pasta. What is Pasta Primavera Sauce? Every cook has their opinion about what should go into a pasta primavera sauce. Some are purists and like to keep things to only spring veggies like broccoli and peas, others don’t mind adding in tomatoes or zucchini. Some think it should be angel hair pasta used, some say it’s not that important. 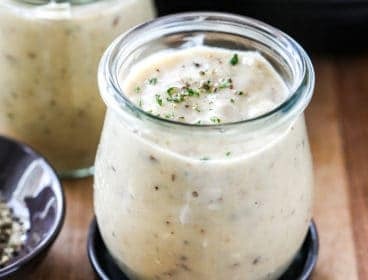 What it boils down to is there’s a load of veggies, a cream and butter based sauce with your favorite hard cheese–parmesan– and spices. As long as it’s a delicious and it’s a good primavera pasta recipe. What Vegetables are in Pasta Primavera? Commonly you’ll find broccoli, bell peppers, summer squash, peas and carrots. But the list doesn’t stop there. 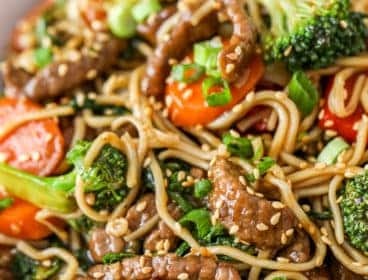 Add in any other veggie that you enjoy and make it your own! 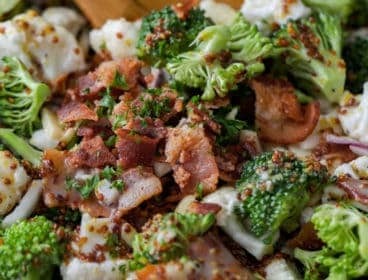 I love my pasta primavera to be vegetarian, but one of the wonderful things about this recipe is you can easily add whatever protein you want. Adding a little protein to this primavera pasta balances it out nicely. We enjoy pasta primavera with chicken or shrimp. To make pasta primavera with shrimp, just add the shrimp to the skillet right from frozen! It cooks quickly. This pasta is excellent served with cheesy garlic breadsticks and a Classic Wedge Salad or Easy Kale Salad. Baked Rigatoni Pasta – hearty and delicious! Delicious pasta primavera filled with spring vegetables and a parmesan cream sauce. 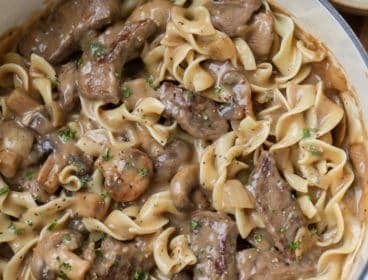 Made in a single skillet! Cook pre-made cheese tortellini according to package directions and set aside. 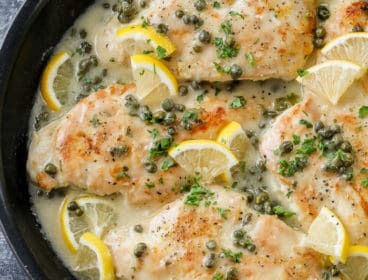 In a large skillet add butter, and melt over medium heat. Add garlic and saute for a minute. 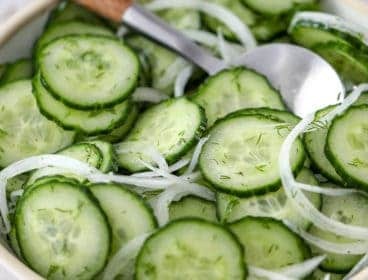 Add zucchini and water. Stir it all together, let cook for 1 minute. Add broccoli, asparagus, red pepper, and carrots, and cover, and steam for 3-4 minutes. 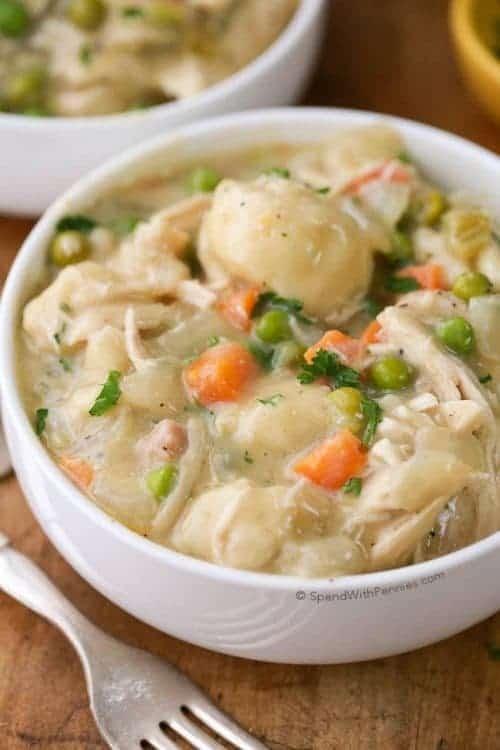 When veggies are cooked, and tender, but still crisp, remove the lid and add chicken stock, and heavy cream. Leave on the heat. Make a slurry by combining one tbsp of cornstarch with some of the liquid from the pan. Add the liquid to the corn starch in a small bowl, and mix together. Pour slurry into skillet, and add the two kinds of peas. Add parmesan, and stir it all up. Add your pre-cooked cheese tortellini, and stir it all together. Leave on heat until sauce reaches your desired thickness, about a minute. Serve immediately. Rachael is the creator of the food and travel blog Eazy Peazy Mealz where she shares simple to make recipes for busy families. 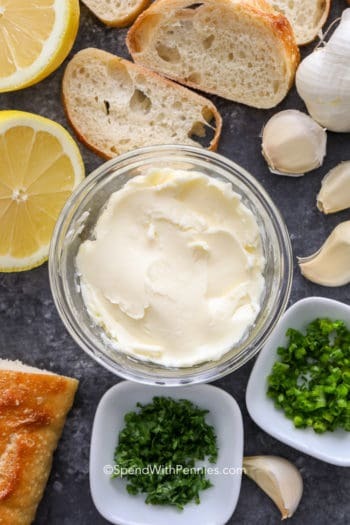 She loves food and the power it has to create traditions, family bonds, and memories, and strives to share delicious, practical recipes with easy to find ingredients and simple instructions. Beyond food, her passion is travel, and she is regularly found away from home, with her 4 kids in tow, exploring the world. Her favorite way to experience a new place is through her tastebuds, and with hands on cooking classes. And she loves sharing what she has learned with her readers.